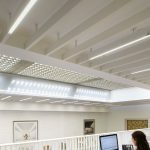 Spectral were specified to light the New Studio Refurbishment of Central London loft space into an open plan office for London based architects MRJ RUNDELL & ASSOCIATES. 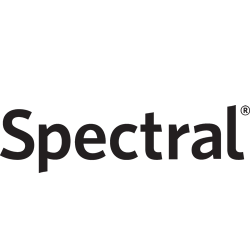 Spectral modelled the lighting levels using photometric data of the Blade light system to carefully complement the natural daylight from a central glass block light well. 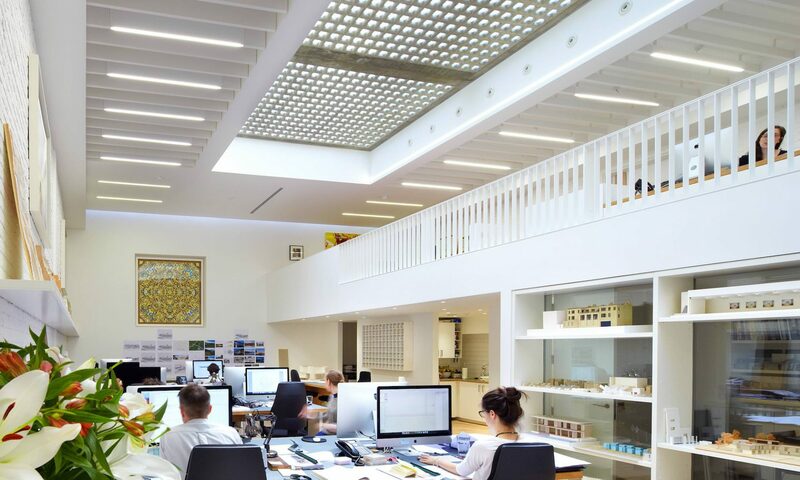 Using cool white 4000k white light the open office spaces have a cool vibrant atmosphere. 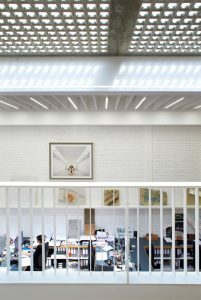 The space – part of an old Auction warehouse – had an unusually high ceiling, but it suffered from a shortage of natural light. The courtyard above was therefore adapted to insert a large sculptural roof light formed from circular glass blocks set into unfinished concrete. 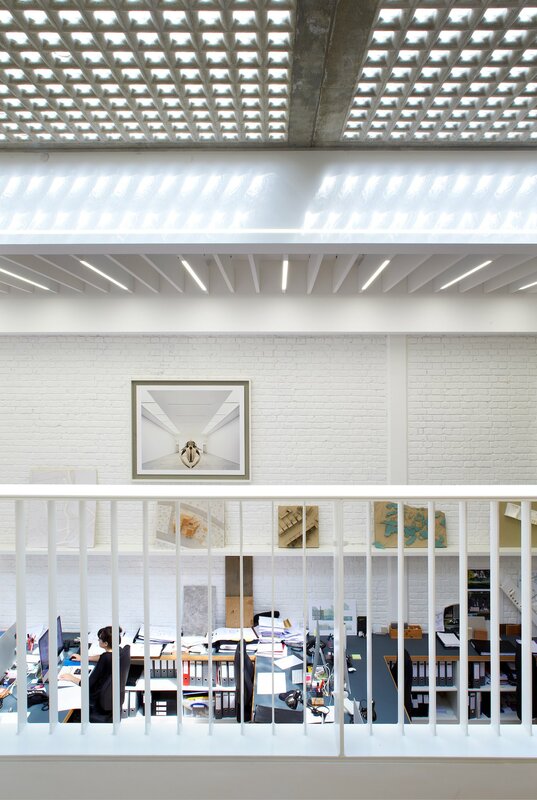 This skylight allowed generous amounts of daylight into the space whilst also emphasizing its distinctive industrial character. 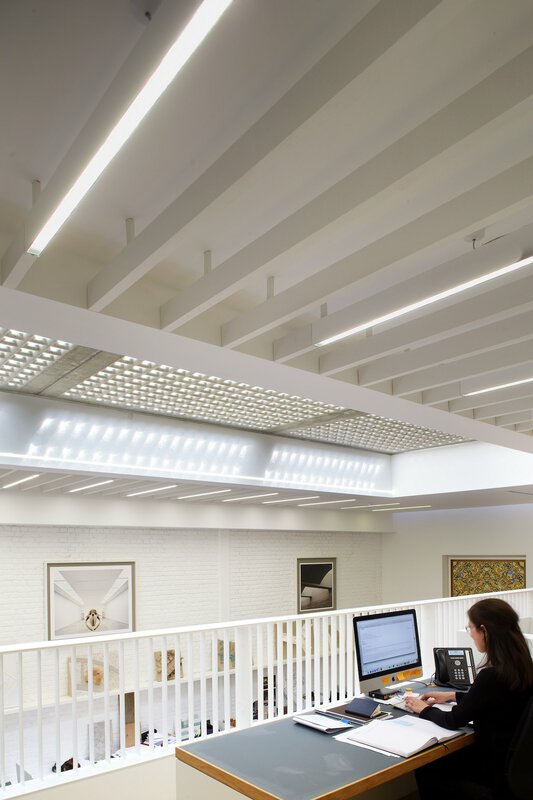 Two walls of white painted exposed brick and a bleached oak block floor were introduced to strengthen that atmosphere, while a mezzanine level was added to provide a level of privacy for the administration team and director. Previous PostPrevious University of Hertfordshire – The new science Building.